Capricorn Products LLC is a primary manufacturer and supplier of bulk immunodiagnostic raw materials to in-vitro diagnostic, biotechnology and veterinary diagnostic test kit manufacturers based in Europe, Asia, and the Americas. 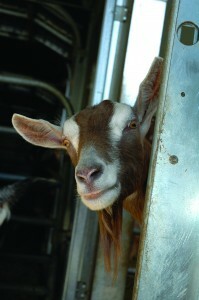 Product lines include: goat polyclonal antisera for turbidimetric and nephelometric serum protein assays; standard and custom calibrators and controls; OEM reagents manufactured to customer specifications; and an extensive range of monoclonal and polyclonal antibodies and antigens used in immunochemistry and infectious disease testing. Jane Havey, President, established Capricorn Products LLC in 1994. The Company is ISO 9001 certified, and observes FDA Good Manufacturing Practices. Company headquarters and laboratories are located at 12 Rice Street, Portland, Maine, 04103, USA. Our ten acre USDA-registered farm facility is located in a nearby rural agricultural community, and houses our substantial goat herd. Click here for detailed contact information. Click here to learn more about our capabilities..